Hi Everyone…nice to meet you!! Just a short starter so you can get to know us; “Your One-Stop Blog for Charlotte County Real Estate”. We are smitten about our Charlotte Harbor lifestyle and all the accouterments that go with it. So this blog is about the nitty gritty goodness that surrounds us all. We will highlight what it looks and feels like to live here in this seafaring Charlotte County mecca that we affectionately call “Nautical Connection without Congestion”. So YES sir-ree-bobber our definite sweet spot and passion is our extravagant waterfront real estate that is a gateway to the Gulf of Mexico and all the adventure this way of life creates. 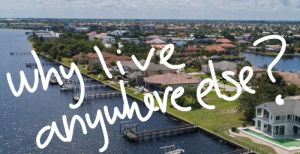 Our natural thirst for all things real estate will provide you with the heartbeat of our charming Punta Gorda market and the surrounding Charlotte County area. 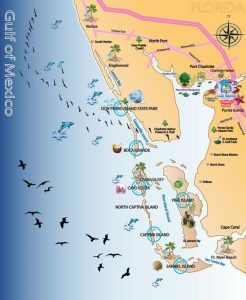 From Punta Gorda to Port Charlotte to South Gulf Cove in the back door of Englewood all the way to North Port, we have a wealth of knowledge and experience. Please feel free to “Ask the Berson Team” when it comes to buying, selling, financing, building, and flipping real estate and all the details in between. 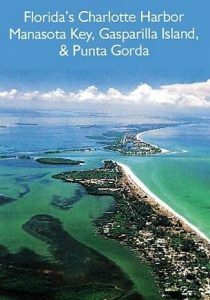 We would be delighted to be your go-to source for our picturesque Charlotte Harbor area.Here are ten reasons why we love the Punta Gorda vibe and all the cool factors that we are drawn to. There is breeze all the time…even in the summer. There is a serenity here…you can feel and still hear QUIET. Everything’s is at your fingertips. You can choose to live west of Hwy 41 and get everything you need without any hustle and bustle. We also love crossing our bridge into Port Charlotte. The Peace and Myakka rivers are breathtakingly beautiful, PRISTINE and over flowing with nature! Your Backcountry Grand Slam fishing dream can be checked off your bucket list which by the way is a redfish, snook, trout and a tarpon all caught in the same day! Golfing is always an option. Everywhere you go there is a back drop of magical water energy. And people recognize you here and are super-duper friendly. So let’s toast to our dreamy way of life…”Nautical Connection without Congestion”.